Agendia said it has completed a $35 million financing designed to help the company accelerate its commercial expansion in and outside the U.S.
Agendia said it has completed a $35 million financing designed to help the company accelerate its commercial expansion in and outside the U.S., invest more in big data trials, and establish collaborations with academic institutions. A developer of genomic diagnostics focused on precision oncology, Agendia said its planned expansion would include increasing adoption of its recently-launched MammaPrint BluePrint Breast Cancer Recurrence and Molecular Subtyping Kit genomic test. 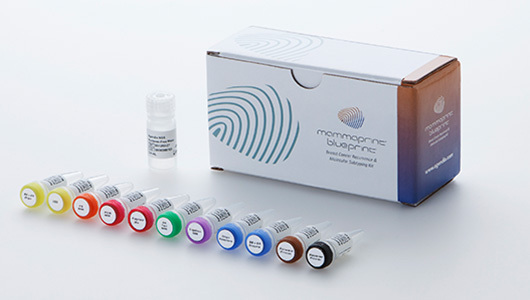 Launched in Europe in March, The kit consists of the MammaPrint test, designed to analyze 70 genes most associated with breast cancer recurrence to provide a binary low or high risk-of-cancer recurrence result; and the BluePrint test, which is designed to analyze 80 genes in order to classify breast cancer into four functional molecular subtypes. Together, the tests are intended to help physicians identify women who are at a genomic low risk for distant metastasis within five years, and unlikely to benefit from chemotherapy, in order to personalize treatment management decisions for their patients. Three major private healthcare insurers covering more than 85 million people in the U.S. and overseas—Aetna, Cigna, and UnitedHealthcare—have issued positive coverage decisions for MammaPrint. The decisions enable the majority of American women with breast cancer to access the test and benefit from personalized treatment, according to Agendia. The company has also cited positive results published in 2016 from the Microarray In Node-negative and 1 to 3 positive lymph node Disease may Avoid ChemoTherapy (MINDACT) clinical trial, a collaboration between Agendia, the European Organization for Research and Treatment of Cancer (EORTC) and the Breast International Group (BIG). The Phase III prospective, randomized, controlled study assessed 6,693 patients across 112 European cancer centers. According to the study, 46% of patients identified as high risk for recurrence, and who therefore would be candidates for adjuvant chemotherapy, were reclassified as Low Risk by MammaPrint. “Since publication of the results of the landmark MINDACT trial in 2016, MammaPrint has been recommended in major international clinical practice guidelines and reimbursed by most healthcare insurers in the U.S. As a result, we have seen double-digit growth over this period as more women than ever before are able to access the benefits of our tests,” Agendia CEO Mark R. Straley said in a statement. In addition, Agendia said it looking to establish new collaborative research programs with leading academic institutions to further the development of its precision oncology pipeline. The financing was completed by investment funds managed by Athyrium Capital Management, a global investor in innovative, high-growth companies across the healthcare sector. Athyrium will be represented on Agendia’s board with the appointment of a non-executive director.